Make this year’s birthday the best yet and promote your party in advance with awesome Happy Birthday Chevron Flyers. 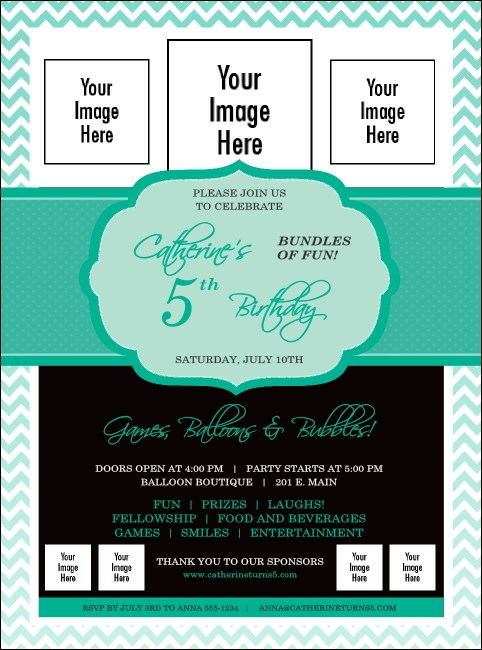 Start spreading the excitement early with Flyers that feature an intricate turquoise design that includes polka dots along with room to upload seven of your own, unique images. Wrap yourself in great advertising at TicketPrinting.com.